LED headlights, once, used to be super expensive and unaffordable. So people had to resort to using the cheaper and inefficient version of headlights. But now LED headlights have become accessible and much more affordable. Why are people more inclined to switching to LED headlights? This is because they have a number of advantages. LED headlights are very easy to install. It doesn’t require you to have prior knowledge or be a mechanic. A set of instructions is always given. LED headlights also have a longer life span. They can last for about 10 years or more. This has the added benefit of easy maintenance. No need to replace your headlight every once a month or two. You’ll be saving money this way. Unlike halogen bulbs, LED lights are very efficient. Halogen bulbs waste 80% of their energy by producing a lot of heat whereas LED do the exact opposite and convert 80% of energy into light. LED lights produce bright rays of light, capable of illuminating a completely dark street. So, it helps in viewing the conditions of the road when there is poor visibility. LED headlights produce light which is white in colour, clearer and intense but does not blind other drivers. Most importantly, LED headlights use less energy from your car and still manage to give out such bright light. It is energy-conservative. Plug and play LED headlights are portable lights that can easily be inserted and detached. Plug and play LED lights are retrofitted and used in many fixtures and cars. They are mostly put in cars for additional light. Plug and Play LED lights or LED fixtures? Long-lasting life, much more than Plug and Play Lights. However it has some cons as well. When choosing between LED fixtures or Plug and Play, there are a few questions you should keep in mind. Is your work related to a construction project or remodelling? If your work is related to a construction project, LED fixture is your best option. Do the light fixtures need to be repaired? Any specific control you need to meet, based on the building’s code? A requirement that you may need to meet may be involved with lighting controls. Such controls are addressed more efficiently by LED fixtures. LED fixtures may be good options for buildings but not cars. Plug and Play headlights such as HIKARI LED conversion kit which give out 9600 lumens and Simdevanma All-in-one which gives out 8000 lumens are more suited for cars than buildings. Mostly every driver nowadays chooses LED headlights because of their many superior qualities. LED headlights became a fan favorite after their introduction. They are cheaper to buy and can last for more than twenty years. The market for LED lights experienced a boom in the previous decade as people started shifting from halogen and HID headlights to LED headlights. LED is a new technology. LED lights have a brighter beam. They produce a whiter and sharper beam. LED headlights do not flicker. You don’t have to wait long for them to turn on. The brightness level of LED can be controlled. 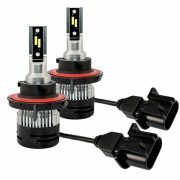 LED lights are very easy to install and you can install them in your car by yourself. You don’t need to employ a mechanic as there is no technical knowledge required. This means you can save money by not calling a mechanic. LED light also lasts for a longer time as compared to HID lights. LED lights can work for more than 50,000 hours. LED lights are also low-maintenance and you don’t have to replace them after few years. You can save money and fuel by shifting to LED headlights from HID as they consume of the energy. Saving energy means that your fuel is being efficiently used and efficient use of fuel means that you are saving money. They produce better light while consuming lesser fuel. LED lights are better and more efficient as compared to HID lights. HID lights have this classy look to them that makes the car look more attractive. They are beautiful lights which were firstly quite expensive but now they have become affordable. They consume less energy as compared to Halogen lights and they have a bigger life. They are cheaper to buy and they give this precise and sharp light. Their light is sharper and they have a focused beam. They don’t irritate other drivers and you can invest in them. HID lights are an investment that you surely won’t regret. These lights also consume less energy and fuel as compared with Halogen. In the end, we reach the conclusion that LED lights are better in more than one ways. You should invest in them as they are a long-term investment. We hope we answered all your questions. If you found this informational, then please do comment and share. The automobile industry is constantly changing and innovations are making it better and tech-savvy every day. Every now and then the market has to offer a new, technologically more innovative and better product for very part and aspect of a car. Even if you talk about the headlights of a car you will see innovative ways in which the headlights are being designed and installed in the designated portion of the car. Now-a-days, we have different types of headlights which have different mechanisms that generate and emit light. Their range, intensity and even colour are of different type. These types of headlights are classified into halogen headlights, LED headlights and HID headlights. Halogen headlights are the cheapest in the market. Halogen headlights consist of an incandescent light bulb which is made up of a tungsten filament plus a small amount of a halogen gas is used in the bulb which is mostly Argon. When current is passed through the tungsten filament, it heats up and glows. The halogen gas used in the bulb re-deposits the evaporated tungsten back on the filament. This not only increases the brightness but also the lifespan of the bulb. Halogen headlight bulbs emit a lot of heat energy due to which they feel hot when touched. Halogen headlight bulbs have a fast starting time and uniform light. The best feature of halogen headlights is that they have a very strong ability of lighting penetration like if thrown towards a forest they can bleed into the woods a bit. LED headlights generate a much brighter light and operate by transferring current through a semi-conductor which emits photons generating light. They do not produce heat as much as halogen headlights, thus making the LED headlights have an indefinite lifespan. LED headlights are larger than halogen headlights as they require extra heat sinks and fans. LED headlights emit a whiter light and work on much lower voltage (DC 12V) than halogen headlights. So you don’t have to worry about high voltage danger of up to 20,000V. Along with innovative communication systems in the cars, cooling systems and extra electronics for correct functioning and liaisoning with the system, makes the LED headlights bulky ,more complex and costly which can chuck away a great portion of your money. LED headlights are brighter making visibility for a longer distance and last longer than Halogen headlights. LED headlights extra brightness is near borderline to dangerous as it blinds the other cars which is no less hazardous than not to see the road for you. Due to LED headlights complexity they are much expensive than the Halogen headlights. LED headlights have a floodlight pattern, they do not have a penetrating light as the halogen headlights have. LED headlights do not take up much voltage resulting in longer battery life. In some jurisdictions replacing halogen headlights with LED lights are deemed illegal, so before you want to change from halogen headlights to LED headlights you should get up to date on local laws. The intensity of LED headlights is great and put much less strain on your car battery. But due to the hazards it can put on your and other people’s lives and the amount of money it takes to install LED headlights. In my opinion, LED headlights are better than halogen headlights due to their longevity and other benefits. You just have to keep in mind that the LED headlights you are installing are DOT and SAE certified. http://lvtauto.com/wp-content/uploads/2018/08/logo-dark-bg.jpg 0 0 Admin http://lvtauto.com/wp-content/uploads/2018/08/logo-dark-bg.jpg Admin2018-06-04 04:01:052018-06-04 04:01:05Halogen or LED headlight bulbs, which one is the better choice ? LED headlights are a newer technology as compared to halogen and other lights. When LED headlights were first introduced people were a bit slow to warm up to them because they were expensive and dangerous. Now, times have changed LED headlights are affordable and are a better choice as compared to older models. LED headlights also have experienced a boom in the past years as drivers prefer their sharp and piercing beam as compared to halogens yellow and dull beam. People more than often get confused because there are a lot of options available in the headlight market. There are so many different technologies and all of these technologies have different flaws and benefits. We are going to discuss the two main headlight technologies, LED and halogen. LED is a newest technology in the market. LED head lights have a better and brighter beam as compared to other technologies. They produce a whiter and sharper beam. LED headlights get instantly turned on and they do not flicker. They have a focused sharp beam. You can dim LED lights if you want to, their brightness level can be controlled. You can save money and fuel by shifting to LED headlights from halogen as they consume less than 60 percent of the energy as compared to halogen headlights. Saving energy means that your fuel is being used efficiently and efficient use of fuel means that you are saving money. They produce better light while consuming lesser fuel. LED headlights are better and more efficient as compared to halogen lights. LED headlights are very easy to install and you can install them in your car yourself. You won’t need the services of a mechanic as there is no technical knowledge required. This means you save the money you could have spent on hiring a mechanic. LED headlight also lasts for a longer time as compared to halogen lights. Halogen lights tend to only last for 20,000 hours while LED lights can work for more than 50,000 hours. LED lights are also low-maintenance and you don’t have to replace them after some time. Halogen lights are one of the most common headlights as they are an old technology. They are cheaper to buy as they are very cheap to manufacture. You can replace your old bulbs yourself. Halogen bulbs are very easy to install as all you will have to do is twist them in place. You won’t have to spend money on hiring a mechanic. They have small lifetimes but this is overcome by the fact that they are very cheap to replace. Halogen bulbs can work for more than 500 hours. The world has shifted from other headlights to LED headlights and this can be seen with the boom in the market for auto LED headlights. They have taken over the world. We all are mostly aware of the benefits LED. They are fuel efficient and can work for more than two decades. LED headlights are affordable and have a brighter and sharper beam than as compared to HDI lights. LED headlights are a long-term investment as they can work for more than 50,000 hours. LED headlights are sharper so they can pierce through fog and dust and can help you see more clearly. A Light-emitting diode is a semiconductor of a light source. It releases light when it gets activated. The Light-emitting diodes are just like small bulbs. They are being used in everything, from televisions to watches. They emit light when a movement of electrons occurs. Unlike other forms of lighting LED makes it light from a solid material known as a semiconductor. Light is produced when the electrons get excited. LED technology is often called the best as it can last for long time periods and it also doesn’t have the same flaws as the previous technologies. LED lights had two disadvantages that were stopping them from being a household item. One, they were really costly and two, their color wasn’t exactly perfect. Both of these flaws have now been overcome as the cost of producing them as decreased. LED headlights are preferred over other headlights as they don’t heat up and can last for longer time periods. We are going to discuss few of the benefits of choosing LED headlights instead of HID. A lot of development has taken place in the LED market. They have improved and taken care of all the flaws. The LED headlight is the obvious choice when you should choose your headlights as LED lights are brighter than all the other older headlights. Some of the older ones had yellow lights and some of them couldn’t focus, LED takes the same amount of energy as halogen headlights but gives a brighter and sharper light. LED lights can save energy as they don’t burn as much fuel as other types of headlights. Other headlights require getting changed after a while but the same is not true for LED lights. These lights can last for longer periods of time and thus save you money. The Best LED Headlight to invest in is the H4 LED light bulb with 50W 6800 Lumen and 100w with 13600 lumen and Cree chips. It has a vacuum red copper thermal tube which ensures that it lasts longer. It has been manufactured using the newest technology so it doesn’t heat up and has a 2.5mm ultra-thin LED focus design with anti-glare coated on it. 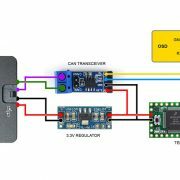 It comes in a small size and does not affect the car’s audio system. It also has a better light focus and consumes less power. We hope you understood how LED headlights work and that you found this article informational. If you liked it, then please do comment and share. http://lvtauto.com/wp-content/uploads/2018/08/logo-dark-bg.jpg 0 0 Admin http://lvtauto.com/wp-content/uploads/2018/08/logo-dark-bg.jpg Admin2018-05-31 02:38:292018-05-31 02:38:29How Do Auto LED Headlights Work ? Whether compared with performance or appearance, LED headlights are superior than incandescent headlight, but which led headlight suits your car? LED headlights divide into fanless led headlight and LED headlamp with fan, if you always need to drive your car for long distance or you are a travel enthusiast, you should choose LED headlights with fan for your vehicle to ensure your headlight always in a suitable temperature during this long time driving, but if you just drive your car go to work or send your daughter to school, I advise you choose fanless LED headlamps for your vehicle, fanless led headlight is cheaper than LED headlights with fan and if you still worry about the temperature problem, you can choose the fanless led headlights with aluminium heat dissipation system. 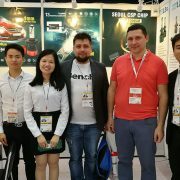 Of course, you also need to pay attention to an important component of LED headlights – led chip, which is one of the most expensive part of LED headlamps, there are some famous chip brands such as CREE LED chip, OSRAM LED chip, NICHIA LED chip and so on, quality China LED headlight manufacturer always use Taiwan LED chip for their headlights, Taiwan LED chip is a cost-effective choice for manufacturing led headlights. Choosing quality headlights will make your car increase a good lighting assistant. LED headlights can light your roadway in a long distance in a rainy or fogy day, with high brightness and low energy consumption, make your vision clear on the driving way, bring you a good vision experience, with fast starting time, give you a best user experience. http://lvtauto.com/wp-content/uploads/2018/08/logo-dark-bg.jpg 0 0 Admin http://lvtauto.com/wp-content/uploads/2018/08/logo-dark-bg.jpg Admin2018-05-31 02:04:232018-05-31 02:04:23Which led headlight suits your car ?